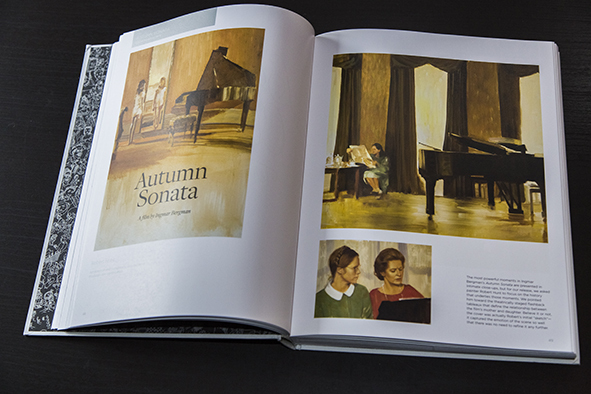 Criterion is a wonderful company that releases amazing blu-ray and dvd editions of important films. As they like to say “A continuing series of important classic and contemporary films”. I started collecting them with the “Close Encounters of the Third Kind” laserdisc, around 1992. I also got their LD editions of Robocop, Seven, Brazil, Life of Brian and a few more. It was always expensive to get their discs but you got amazing quality in return: director and d.o.p. approved transfers, interviews, extras. They were the ones that created what we all know now as Special Editions. From LD they went to DVD and then BR discs. The list of their releases is huge (almost 1.000 titles on DVD and BR but more on LD that were never released in the new formats like Akira or 2001: A Space Odyssey) and I wish I had all. 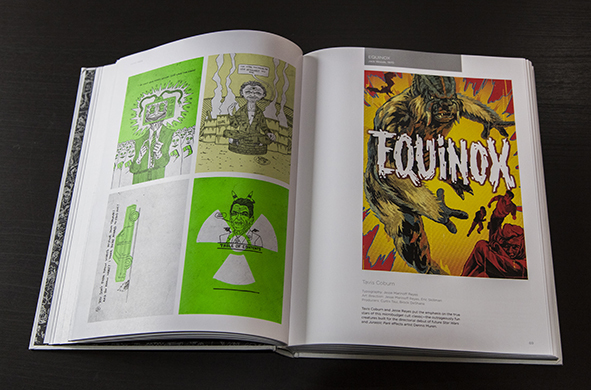 Criterion always had good taste when it came to design their products and in the last few years they started working with some brilliant collaborators: Bill Sienkiewicz, Yuko Shimizu, Kent Williams, Mike Allred, Daniel Clowes, Sam Smith, Eric Skillman… The amount of high quality art and design made me wonder when they would release a book showcasing all of it. Well, 2014 was the year it came out. 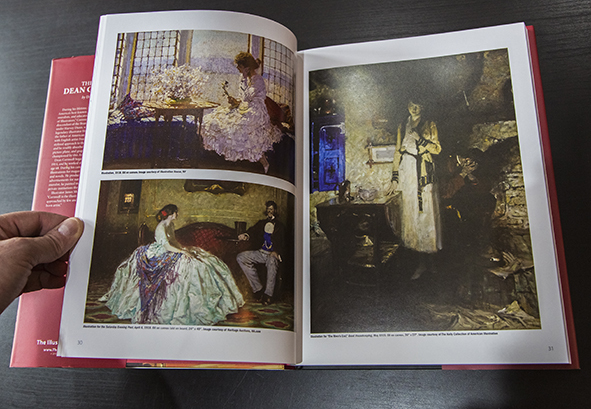 Huge hardcover book, beautifully art directed by Eric Skillman and Sarah Habibi (the regular art directors of the collection) showcasing the art of 150 films and over 100 different artists. 306 pages and god it is heavy. 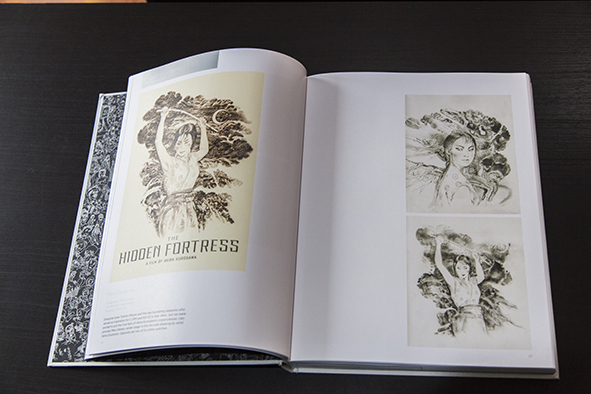 Part of the fun of the book is discovering what film will appear next and what kind of materials they show: sketches, rejected art, work with typography, etc, so I won´t spoil that for you,. Every design presented here has some short text where they explain some details about how it was created and the reasons for this or that creative option. Also at the end there is a collection of ALL the LD, DVD and BR covers of the company. 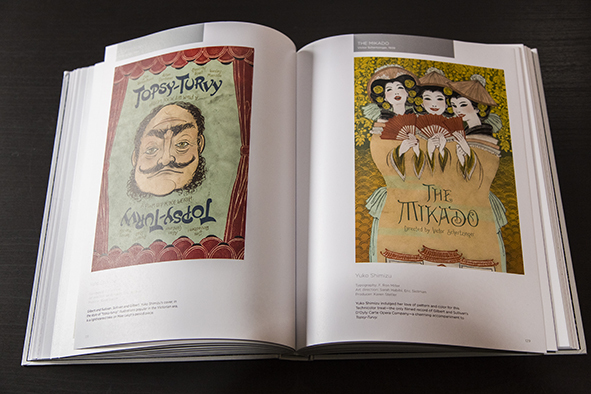 This book is a dream come true for designers an even though it is a bit expensive (not too much) you get a great art collection in return. 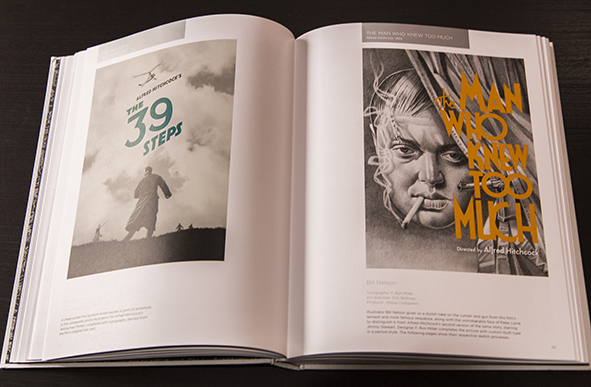 As I mentioned before I am also an occasional film poster designer (you can check my company USER T38´s work at IMP Awards, just a few of them are mine) so to me this book is a treasure and I absolutely recommend it. 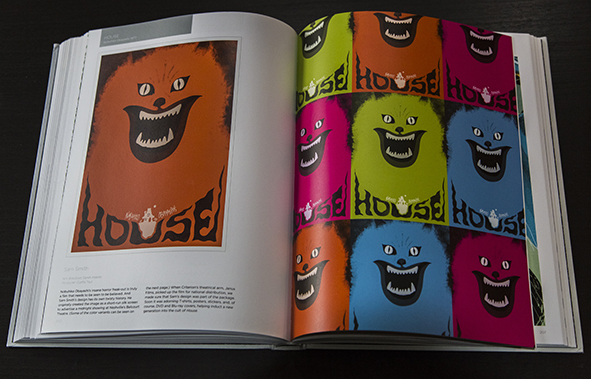 PD: Eric Skillman, art director, used to have a blog where he explained from time to time the design process and some of this Criterion designs. Not updated anymore but still a great read: Cozy Lummox. 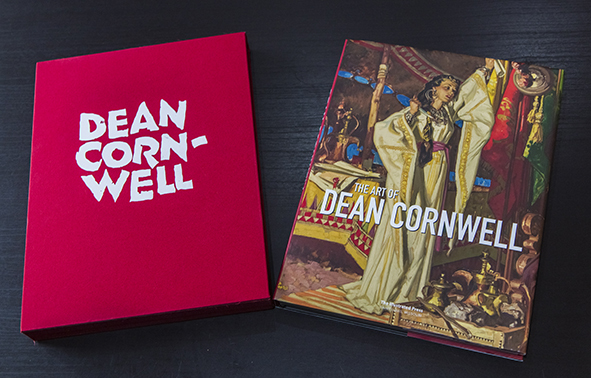 Today we have a book about Dean Cornwell, also known as The Dean of Illustrators. 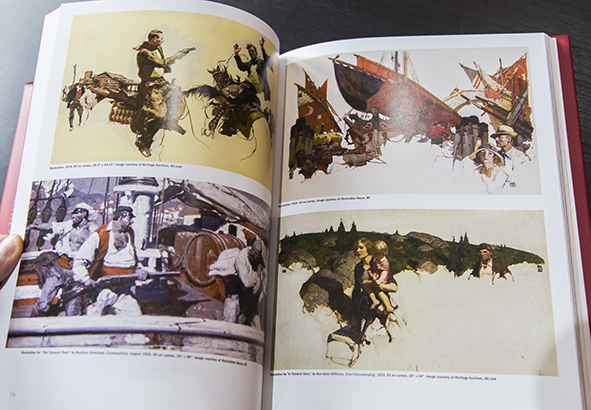 Painter and illustrator, he worked in many of the same fields as other famous artists of his time as Norman Rockwell and particularly he excelled at murals. 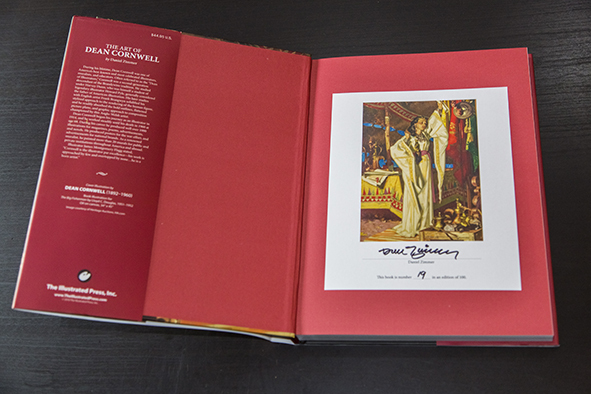 For some reason there are not so many books as it should be about Cornwell. 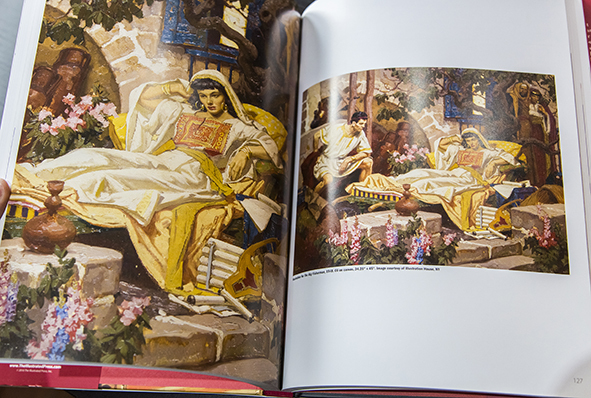 There is an excellent one called Dean Of Illustrators, by Patricia Janis Broder but it is out of print (I was lucky to get the re-print made in 2000) and not much more to my knowledge. 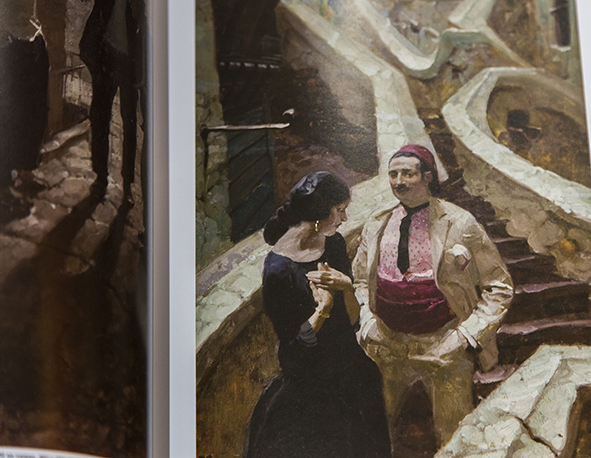 Enter The Art of Dean Cornwell. 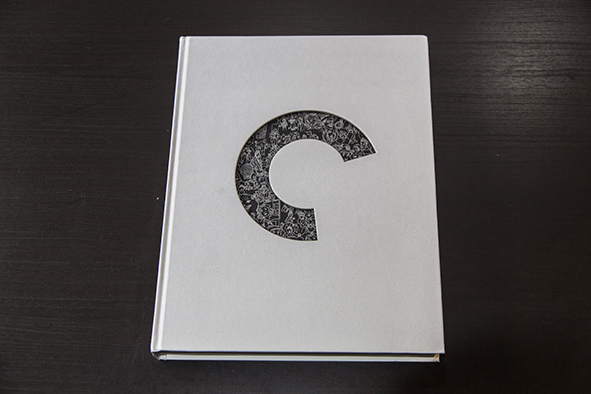 This is a limited edition book (1.000 copies) funded by crowd-funding and edited by the Illustrated Press. Unfortunately is already out of print too but still is worthy talking about (even if only to show off). 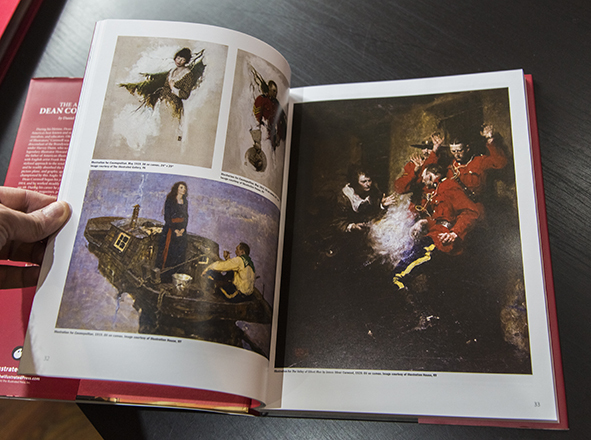 The book comes with a slipcase (it is not to easy to get the book out of it) and it is a 224 pages hardcover book of super high quality content. My copy is signed by the author Daniel Zimmer, number 19 out of 100 signed books. 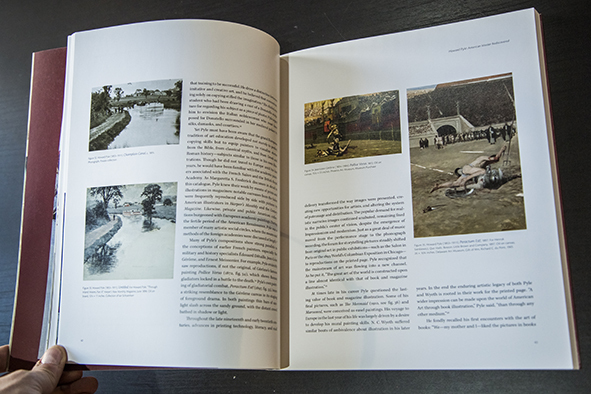 After a pretty good introduction about Dean´s life and story (with some great pictures of the man himself and models) we get straight into the art. And what art. 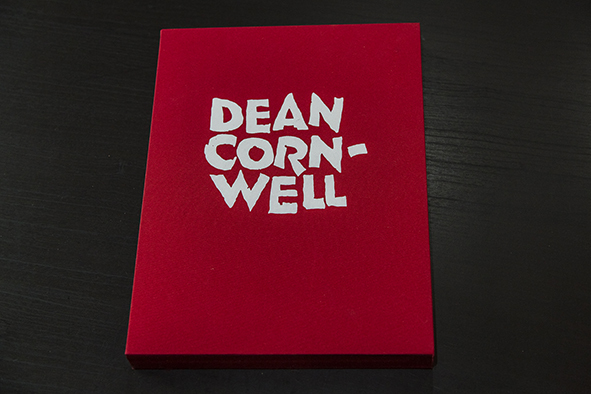 I always loved Cornwell but there is so much stuff I had not seen before. 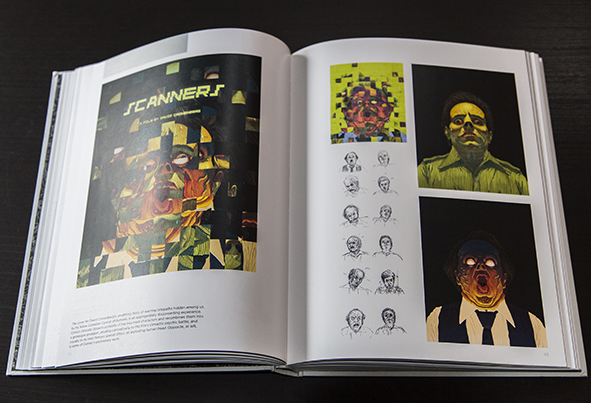 We get the whole range of his work: book art, magazine work, mural, paintings, sketches… He was incredibly skilled and with great knowledge of anatomy so he could tackle practically any subject. As I said both of his books are out of print. This is really terrible news and I hope this situation gets fixed as soon as possible. Hello, back after too long time messing with that thing called life. 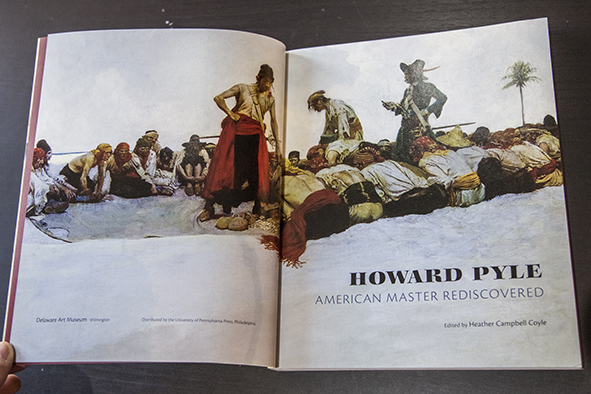 Howard Pyle was simply a master. Famous all over the world, he was an incredible painter and also teacher of a whole bunch of first-rate artists in what is call the Brandywine school. 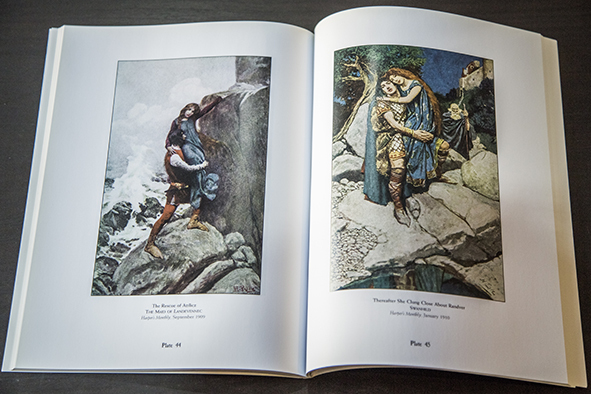 He illustrated Robin Hood, pirates books, King Arthur and wrote some novels too. He was really a complete artist. 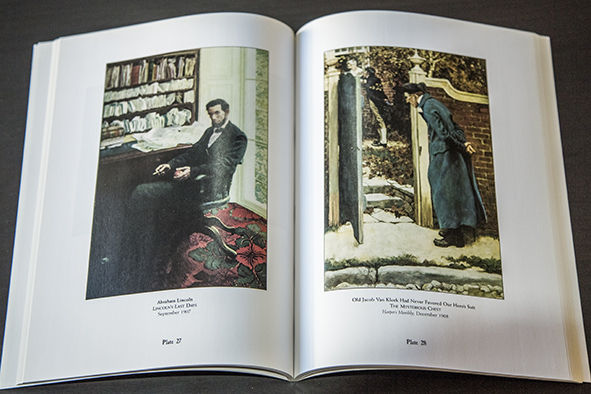 And today we have 2 books about his art. 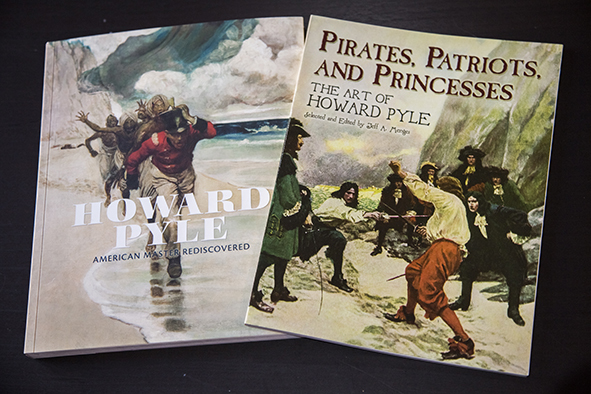 Pirates, Patriots, and Princesses: The Art of Howard Pyle & Howard Pyle: American Master Rediscovered. The first one is a Dover book, Dover being that publishing company I absolutely adore. 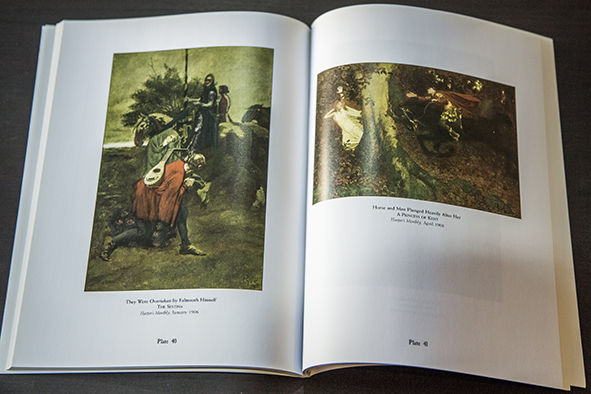 This time they bring us 67 plates of Pyle´s work divided in the following genres: pirates, patriots, paladins, parable & myth, princesses and there is a tailpiece too. 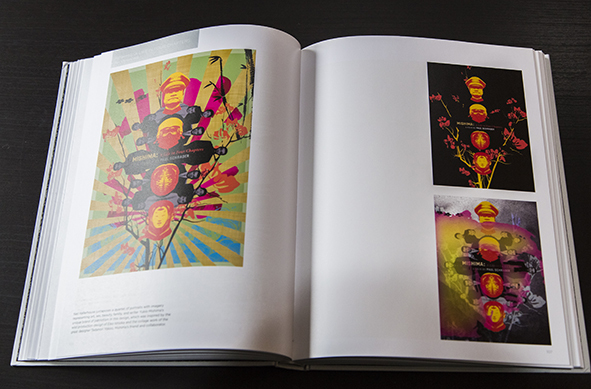 Most of the images are in color, though you can find some black and white line work too. 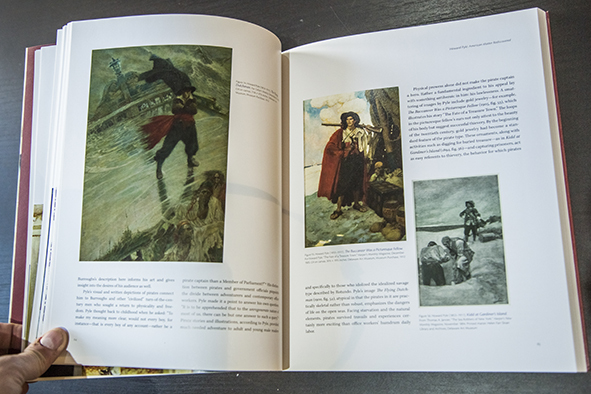 Also we have an introduction where they tell us about the man´s life and career. 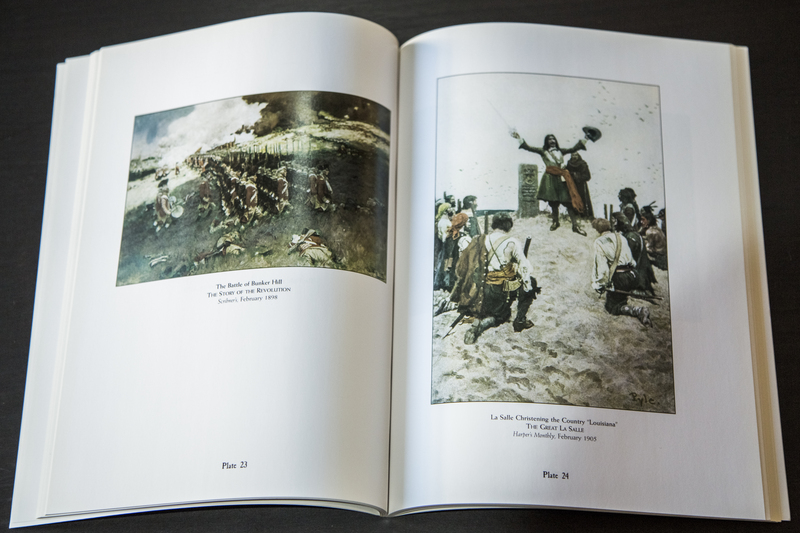 Reproduction is great and the book it is just 15.95 bucks. 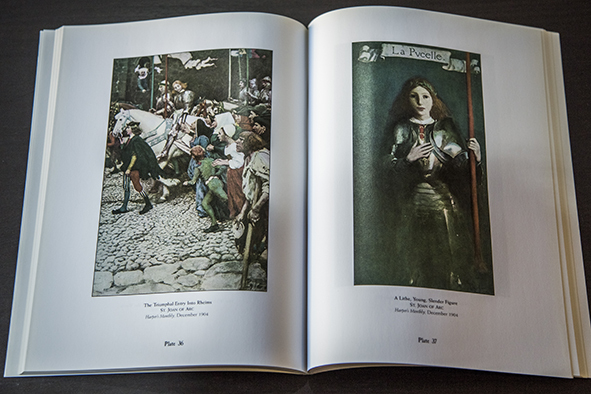 This book is really a great introduction to Pyle and perfect gateway to our second book today: Howard Pyle: American Master Rediscovered. 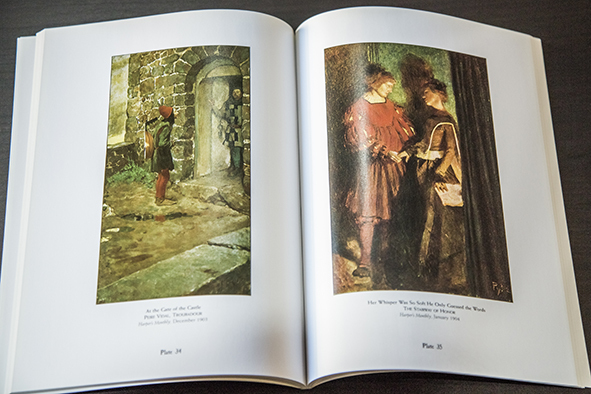 This is a collection of essays about Pyle and different sides of his life and career, all beautifully illustrated by Pyle´s art and also some of his influences. 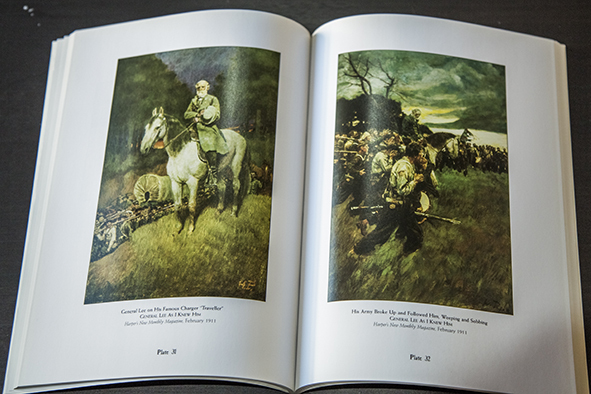 This book was published bye the Delaware Art Museum for an exhibition of the artist´s work so it is a thorough and serious book this one. 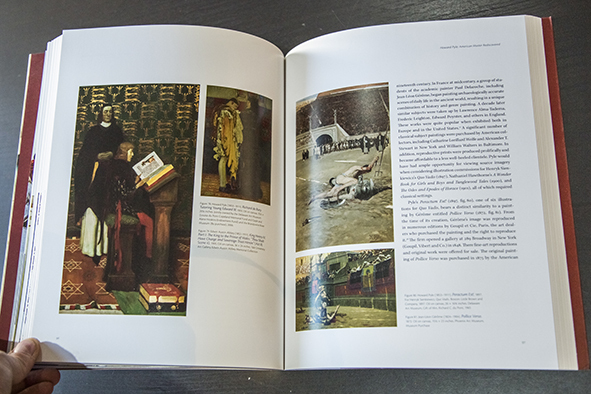 All chapters contain bibliography and there are even a couple of photos of the master at work. This a scholar and interesting book and definitely a must for all Pyle´s fans. I believe it is out of print now but you can find second-hand very easily. Go for both, you can´t never have enough Pyle in your life.